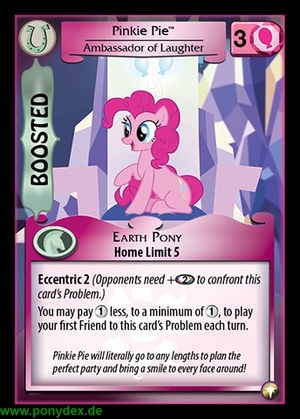 At the start of your turn, if you have more Friends than an opponent, turn this card over. 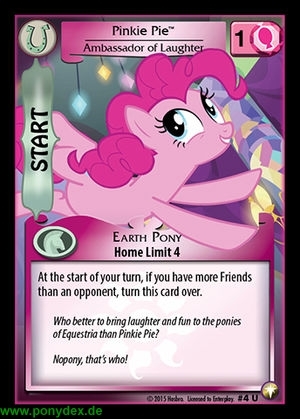 Who better to bring laughter and fun to the ponies of Equestria than Pinkie Pie? You may pay 1 action token less, to a minimum, of 1 action token, to play your first Friend to this card's Problem each turn. Pinkie Pie will literally go to any lengths to plan the perfect party and bring a smile to every face around!